We4Sea simply loves ships – especially when they are efficient. We believe that there is a lot that can be done to make ships more efficient. That’s why we started our journey. 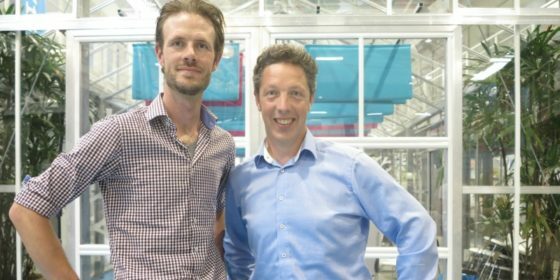 The founders of We4Sea, Michiel Katgert and Dan Veen, met at TNO, the Dutch Organisation of Applied Scientific Research. We were working together in a European project, using big data analystics and to enhance shipping efficiency. And we developed some cool technology here! Because we really believed in the technology and approach we had developed, we launched the idea at Venture Scan, an internal TNO -project to validate our business plan. We are firm believers that we can make things happen if we set our minds to it. We want to do so in a way that suits our informal and no-nonsense style. A mutual goal in which we look for strong cooperation with our customers. We are on this world with the ambition to make a difference in shipping efficiency. Together with you, we will make shipping more efficient, cleaner, cheaper and sustainable. We solve the technology behind efficiency, you get the savings. We offer you our knowledge of the ship propulsion systems, an up to date insight in innovative, new technologies and a drive to improve shipping for both transporters and the world. Together, we want to save 1 million tons of co2 emissions in the next three years, by growing our monitored fleet over 200 vessels, and improve their efficiencies with at least 5%. We will create the easiest online monitoring platform and simulation software for sea-going ships. Using smart data-technology, we will develop solutions for fleetmanagers, cargo- and ship-owners, which will ultimately make ships more efficient and accelerate the sustainability of the shipping industry.